About Premier Plumbing Founded in 2000, Premier Plumbing Inc. is Chicago’s trusted family operated plumbing company. Premier Plumbing has achieved these bragging rights by providing excellent customer service coupled with friendly, highly trained and experienced licensed employees.Today, Premier Plumbing Inc. has the resources to continually invest in quality and experienced personnel, latest equipment and techniques to ensure your job is completed correctly, timely and in the most cost efficient manner. 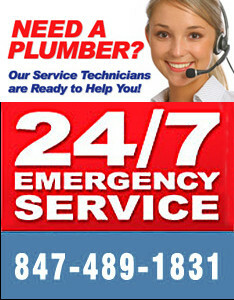 Remember, if you have a plumbing, problem, call 847-489-1831!